Have you ever thought of visiting the Holy Land? 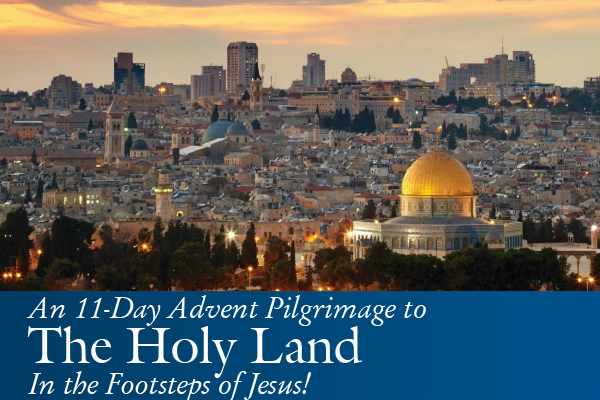 We are excited and humbled to be able to lead this Advent pilgrimage to the Holy Land. Especially with the first two days being in Bethlehem, with a tour of Bethlehem University included. We hope you can join us for this life-changing adventure as we walk in the footsteps of Jesus. 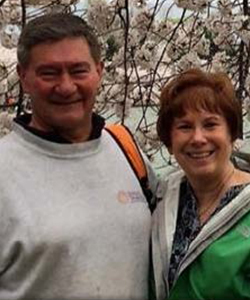 Faith Journeys, our tour operators, have put together an incredible trip for us all to enjoy. They handle all the logistics so we can concentrate on the experience. We have been to the Holy Land in the past, and we can’t wait to go back. We assure you, once you have visited the holy sites mentioned in the Bible, you will never read Scripture the same way again. Scripture comes alive when you can imagine just where they took place after seeing these sites on a pilgrimage to the Holy Land. If going to the Holy Land was ever on your “bucket list” then join us on this Advent pilgrimage. We look forward to sharing with you the land of Jesus’ birth, especially during the season of Advent when the Church waits in hopeful anticipation for the birth of the Savior.